Camden is often visited for its shops, restaurants and picturesque harbor. But it's also a great destination for hiking. 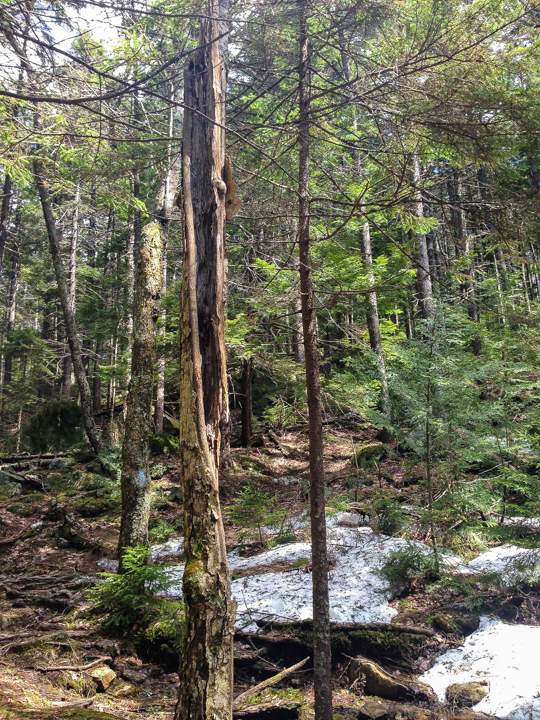 While Boothbay has some great walking trails maintained by the Boothbay Region Land Trust, none of the loops take more than about 45 minutes to complete. I was craving some more rigorous hiking. So this spring, I made the drive about an hour northeast of Boothbay Harbor to Camden Hills State Park. I decided to start at the "top", with the Camden region's tallest peak, Mt. Megunticook. 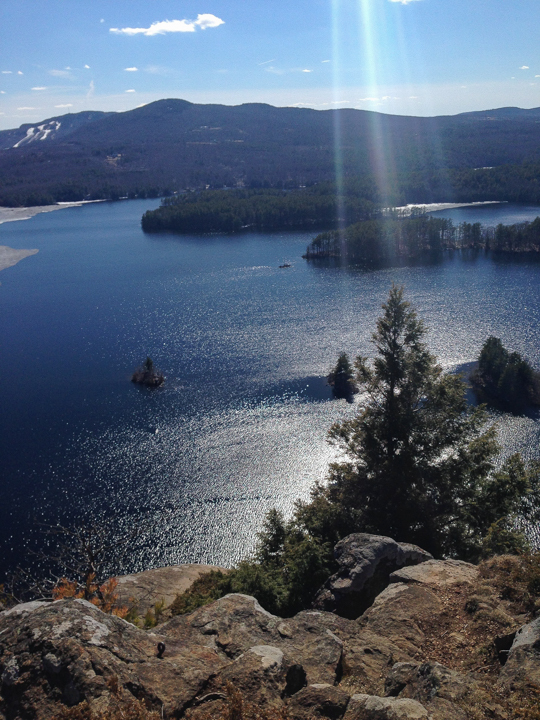 There are a number of trails that lead to the summit, but I chose the trail that starts from Route 52. The parking lot off 52 also serves the Maiden Cliff Trailhead. You can find directions to the start of the trails here. While I very much enjoyed the hike up Mt. 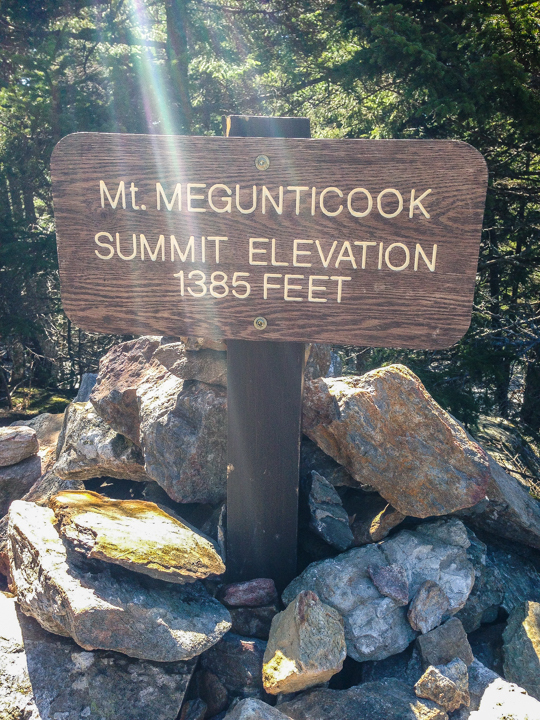 Megunticook, the summit and its lack of a view is a bit anticlimactic. If you are looking for a shorter hike, or looking to extend yourMt. 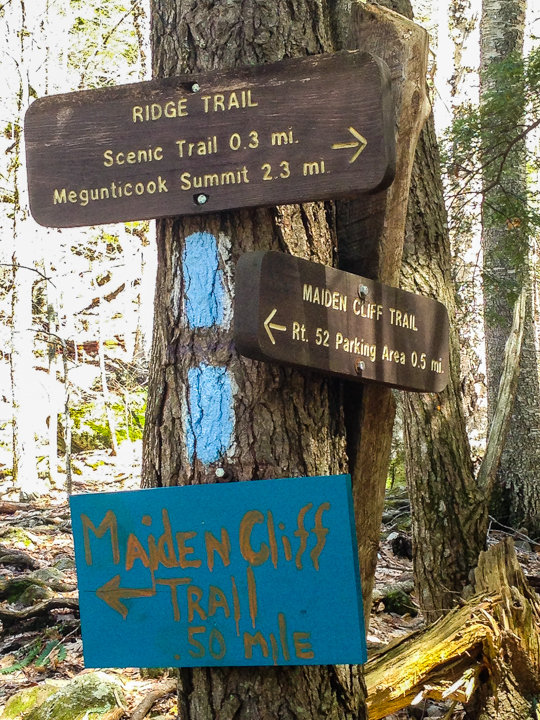 Megunticook hike to include some more spectacular views, I highly recommend the Maiden Cliff Trail. It's only about 2 1/2 miles round trip, but it's steep. 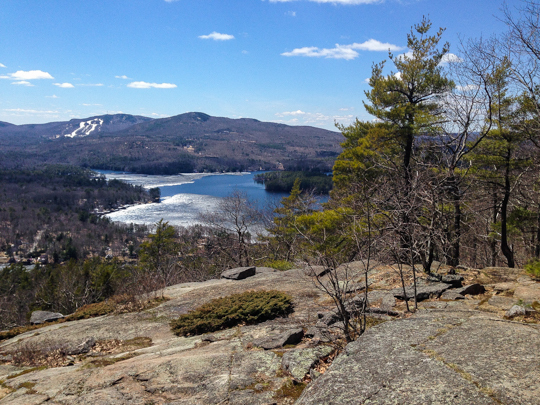 The view overlooking Lake Megunticook (see below) is magnificent and would make a nice place for a picnic on a warm, clear day. I look forward to exploring more of the Camden Hills in the coming year!